What are the differences between a Game Ranger and a Field Guide? In Africa, the Game Ranger goes by a variety of different titles – Game Ranger, Game Warden, Conservation Officer, and many more. The main focus of a Game Ranger is to look after the infrastructure and resources of the game reserves. 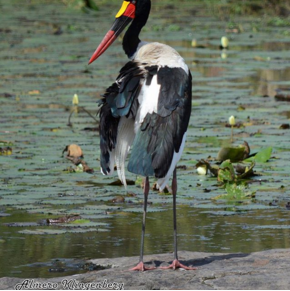 Game Rangers collaborate with ecologists and managers in wildlife and game reserves. Examples of aspects of a Game Ranger job are fencing, alien plant control and bush clearing. A Game Ranger will be manage animal populations and check for diseases. Furthermore, anti-poaching duties are also included in as Game Ranger’s tasks. They also contribute towards gernal public awareness of conservation. 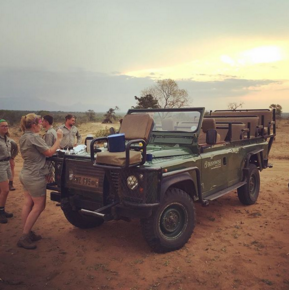 Are you looking to work on a game reserve as a Game Ranger rather than as a Field guide? Having your FGASA qualification will increase your general knowledge of the bush and the surrounding fauna and flora and will improve the way you manage the reserve around you. For example, the practical knowledge of geology can assist a game ranger in better maintaining roads on the reserve in terms of where to make new roads and where to place drainage. General knowledge of weather and climate in the area can better prepare a game ranger for when and how to burn fire-breaks and manage wild fires. Dealing with dangerous animals is also covered with lectures and practical experience while on our FGASA Field Guiding course. When working in the bush on a daily basis, it helps to know what to do if you surprise a wallowing buffalo bull. Knowledge about animal behaviour and being able to track animals will assist in dealing with game management and game capture operations. Tracking animals can become a valuable skill and if there are any sick or injured animals that need to be tracked and treated. Being a Field Guide is all about guiding and interacting with people. A very important aspect of Field Guiding involves sharing information and interpretation of the natural world in an ethical manner. This can be done on hikes or game drives. A professional Field Guide is specialised in aspects such as 4x4 driving, understanding animal behaviour and tracking. In addition, a Field Guide may guide their guests through reserves with dangerous game present such as Kruger Park and other reserves. In many cases, Field Guides assist Game Rangers with their tasks to maintain natural environments.